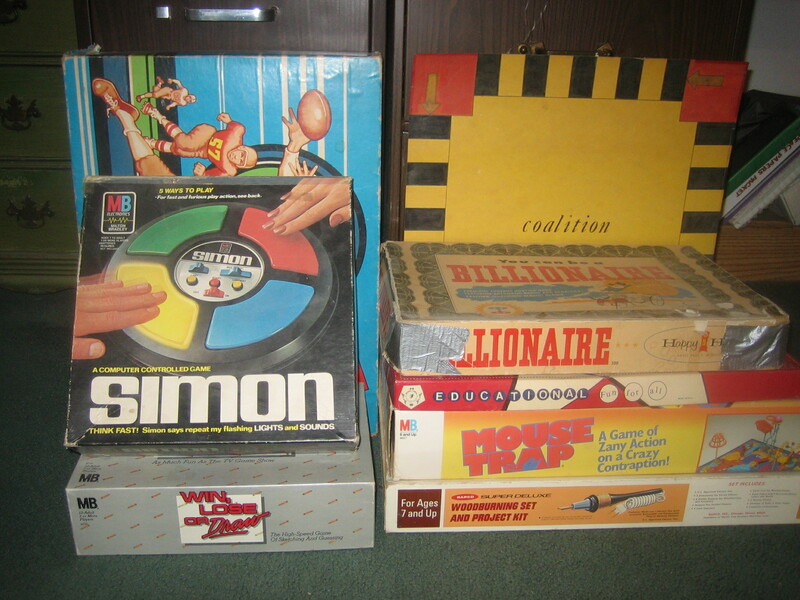 Our family is pretty competitive and likes to play board games. Now that the kids are only home for short visits and most games take at least three players, most of our games gather more dust than players. 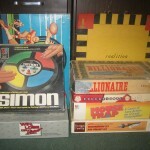 I counted 53 board games (some left over from Jim’s childhood like Foto-Electric Football). I’m giving/throwing away at least 8. Our current favorites (Settlers of Catan and Carcassonne) are definite keepers. There are mixed reviews for Monopoly. Risk takes too long (even though we love it). Cribbage and Scrabble are nice for two people. Simon is great for playing with people who don’t speak English so we kept it for awhile thinking we would repair it so it actually worked. Sorry Simon, you’re gone.